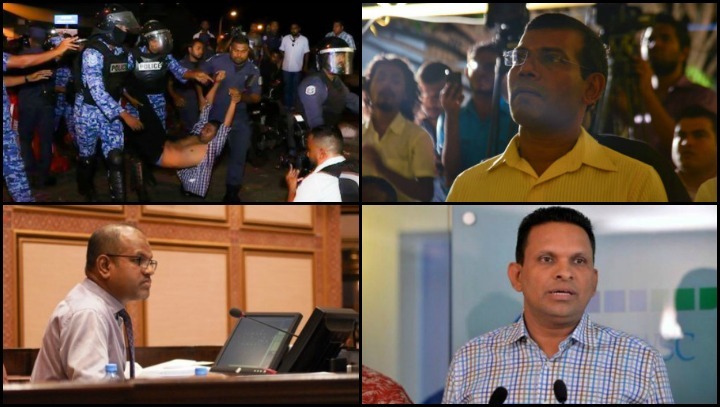 Mohamed Nasheed, opposition leader and former President, was jailed for 13 years on charges of terrorism for an act that does not fit into any of the over 300 definitions of terrorism that currently exist across the world. One of the five co-defendants in the case, Moosa Jaleel, the current Defence Minister and Nasheed’s Chief of Staff at the time of the said act of ‘terrorism’, was cleared of the same charge yesterday. 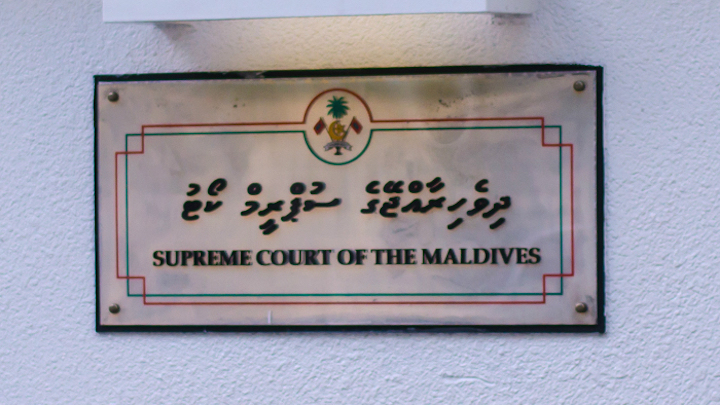 For Nasheed, the conviction came because he could not prove he was innocent. For Jaleel, the acquittal came because the prosecution could not prove he was guilty. Neither of the verdicts, according to the government, was political. Rtd Col Mohamed Nazim, Defence Minister until charged with conspiracy to overthrow the government in February 2015, was found guilty of a lesser charge of smuggling weapons into the country. 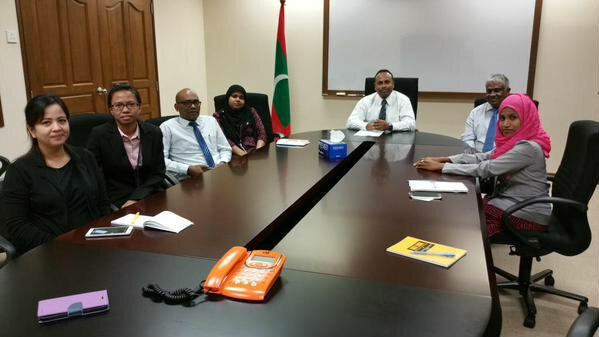 The evidence against Nazim could not have been any more frivolous or, frankly, any more ludicrous. 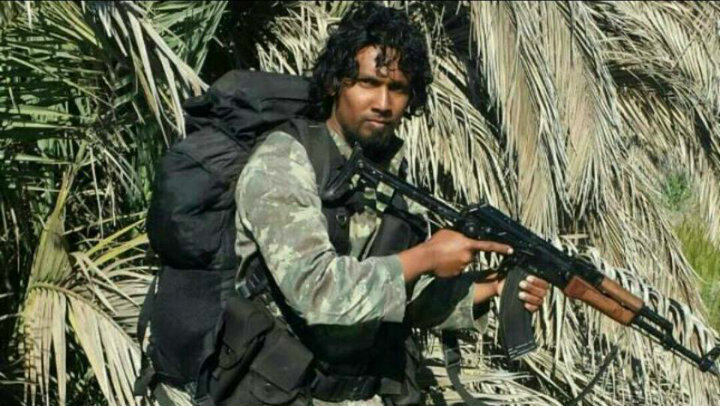 Allegedly, he was planning to shoot and kill Yameen, his right-hand man Tourism Minister Ahmed Adeeb, and a few others in the current government. He laid out detailed plans of how to do it and supposedly saved them on a pen-drive. More sophisticated event planning can be found in a primary school exercise book. Nazim’s legal team pointed 12 gaping holes in the evidence against him. Yet, he was pronounced guilty and jailed for 11 years. Nothing political about it, maintained the government. Next came Mohamed Nazim, MP for Dhiggaru area, and, until Ahmed Adeeb weighed into the relationship, Yameen’s closest political ally and partner in all businesses above and below board. Yameen and Nazim went way back, even founded a political party together – People’s Alliance – which later merged with Gayoom’s PPM. 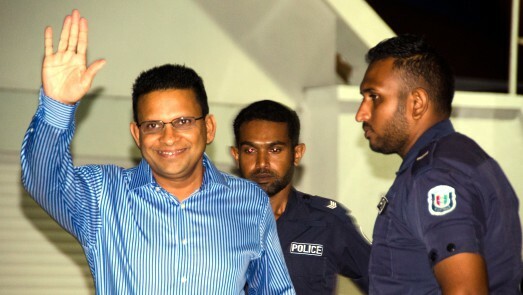 Adeeb’s presence somehow muddied the waters between the friends and, before Nazim could say ‘jangiya’, he had been sentenced to 25 years (life) in prison for corruption worth 1.4 million Rufiyaa. 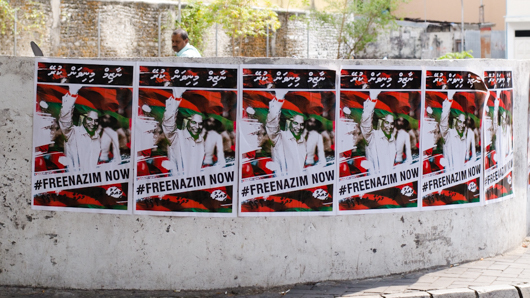 The fraud was committed when Nazim was working in the Atolls Ministry back in 2004. When things were good between Yameen and Nazim, the same courts had said about the same allegations that ‘Nazim had no charges to answer.’ But now, out of favour with Yameen, not only were the charges worth answering, they were also worth life imprisonment. Meanwhile Adeeb, who is basking in the sunshine of Yameen’s approval, can happily ignore allegations of corruption worth millions of US dollars. Not only that, the Auditor General who dared expose the allegations, was removed from his positionand a more ‘friendly’ figure put in his place so Adeeb does not have to put up with listening to such ‘drivel’ against him. On top of it all, news came yesterday that theTourism Ministry is to have ‘extended powers’. ‘It’s not political’, says the government. Meanwhile, life keeps getting harder to live on the islands of Maldives. Taxes have gone up, along with living expenses. Salaries, however, remain as low as ever. While each tourist who arrives in the Maldives – and according to Tourism Ministry figures there were over a 100,000 in February alone – spends an average US$350 a day, the average monthly salary of a civil servant remains below that amount. While the price of fuel has gone down dramatically across the world, electricity bills have become impossible for people to pay. Not only are the bills remaining as high as ever, the government is also cutting subsidies which made it possible for people to pay them in the first place. ‘Don’t make this political’, says the government. While coping with the hardships of surviving in the messed up economy, half the country is out on the streets attempting to save, through peaceful civil resistance, the last remaining vestiges of democracy. The government has responded by describing civil and political rights enshrined in the 2008 democratic Constitution as ‘loopholes’ through which people are abusing the ruling party. Laws will be made to close them holes, it has said. So the authorities first moved to ban protesting in certain areas, then at certain times, then at certain decibels and, most recently, without prior permission of the police. The police have taken into custody close to 200 people in less than a month, and the courts have taken to imposing unconstitutional conditions on their release, demanding that they don’t protest for days, weeks or even months, if they want to remain free citizens. Those who defy the bans are locked up, deprived of basic rights and even abused psychologically and physically. Opposition parliamentarians are often the victims. Most recently, MP Ahmed Mahloof defied the conditional ban on protests only to see his wife being physically, and she alleges sexually, abused by a group of policemen as he was hauled away to detention without charge for an undefined length of time. ‘Don’t make this political’, says the government. ‘It’s rule of law’. To prove that ‘it’s not political’, the government continues to behave as if none of these events are taking place. It has announced plans to prettify Male’ with flowers all over the city; the Clock Roundabout is to get a new clock; one part of the land-sparse Male’ is to be turned into a show area of ‘what it used to be like’; buildings are to be painted; and a dozen or so Maldivians are to sky-dive into the national stadium in a grandiose gesture. Meanwhile, a travelling band of PPM activists are to tour the country setting off fireworks on various islands, when they are not travelling to award air-conditioners and other bribes ahead of by-election votes, that is. Of course, none of this is political. These are not attempts to pretend that everything is fine. These are not attempts to show that only a few dozen mad people are out protesting, trying to upset the smooth running of a democratically elected, benevolent government which is only trying to do best by its people. Of course not. All these activities are to celebrate 50 years of independence. Independence? Where is the freedom? you ask. Oh, don’t get political. This article first appeared on Dhivehisitee.com. Republished with permission. Azra Naseem is a former journalist who now works as a Research fellow in Dublin City University.